Stinky Kid Math first captured my attention because of the name. If I could change a child's dislike of math with humor, then just maybe that could help them actually ease toward the opposite end of the spectrum and actually like math. A mom can always hope! Stinky Kid Math has shared online access to their entire subscription website. In addition to algebra (foundational and complex) and geometry, Stinky Kid Math also offers a math games section. The math games are where I chose to focus with my son. We tried accessing the online program from several computers and found that the level of parental controls we had set up on my son's laptop actually interfered with the video lessons and games. Before I realized the issue was on my end, customer support assisted me and then even suggested a way to work with our settings. We ended up primarily accessing the games on my computer and the video portions of the program through the iPad which made it easy for me to watch with my son. The website is easy to navigate. Options are listed in boxes which show expanded lists of videos when clicked. Videos or games can be selected. 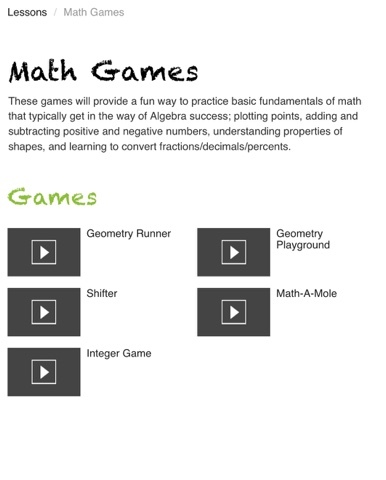 Math games were the first thing that I tried with my son. The Math-A-Mole game focuses on graphing skills (one of my son's math streghths) while dynamiting moles on a golf course. He was more interested in the games, but the geometry and algebra videos were short and engaging enough to also capture his attention. Geometry Runner involves geometric shapes. My son started the videos at the foundational algebra level. 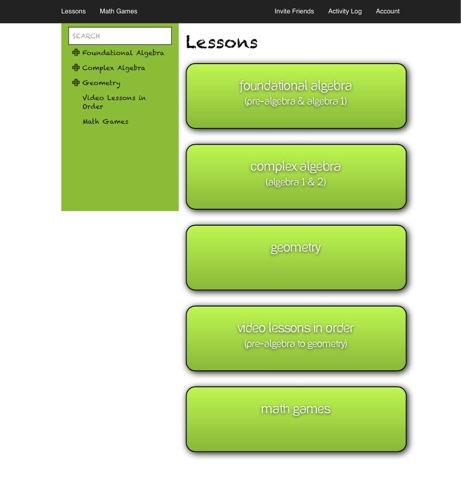 Clicking the foundational algebra button opened up a page showing each of the main topics covered. He is currently learning basic operations. Clicking that square revealed links to all related videos as well as specific chapters in online/downloadable books, worksheets, and which games corresponded to those lessons. When signed in, an activity log shows which videos have been viewed and which games have been played and for how long. 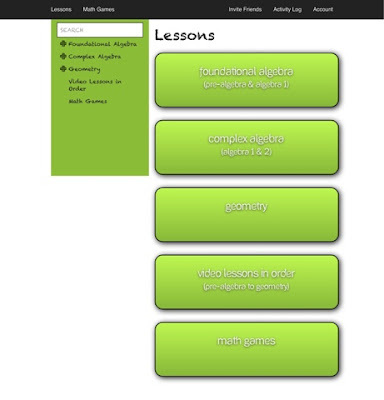 Math help progresses from pre-algebra skills through advanced algebra and geometry. Precursers to algebra which make understanding algebra easier are also covered including fractions, decimals, and percentages. Stinky Kid Math is like an online math tutor. Another component to this program is worksheets with answer sheets and pdf downloads of each lesson. Tips were provided to help students make the most of their lessons including decreasing distractions and taking notes like they would in an actual classroom lecture. Even my senior benefited from Stinky Kid Math. As the videos are listed by topic as well as subject, she was able to choose specific lessons to review. Videos cover overviews of each subject as well as specific math skills. She found that instead of long in depth lessons, each topic was broken down into multiple videos, and music as well as the presentation made it fun. The videos are typically just 4-5 minutes each. I recommend Stinky Kid Math as a way to enhance your middle school and high school homeschool math lessons, both as a step by step tutorial and as a review of specific topics. There are over three hundred video lessons included! Connect with Stinky Kid Math on Facebook and Twitter.